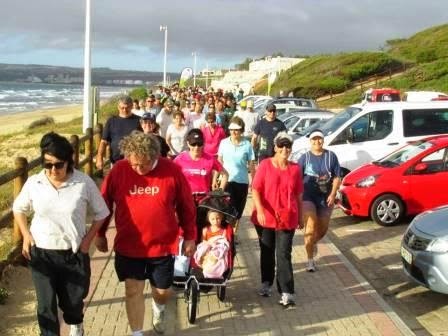 I literally squealed with excitement when I realised that our trip to Hartenbos would coincide with the inaugural Hartenbos parkrun - what a delightful coincidence! 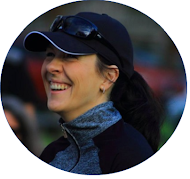 And, what excited me even more, was the fact that Will would be joining us for our first ever parkrun as a family of four - I sure was one thrilled nerd mama, ha! The starting point of the parkrun route was within walking distance of our holiday accommodation, so we made our way there on foot to be greeted by (literally!) hundreds of fellow excited parkrunners. We also finally met some of the parkrun tourists - a group of parkrunners who travel all over the country to visit as many parkrun locations as possible. How fun is that?! And, after giving it a lot of thought, I've finally decided that this is my favourite thing about parkrun: The fun and positive parkrun community. Although the running community in general is such a positive and uplifting one, parkrun somehow just takes that to the next level. I love it! With parkrun SA Country Director, Bruce Fordyce. 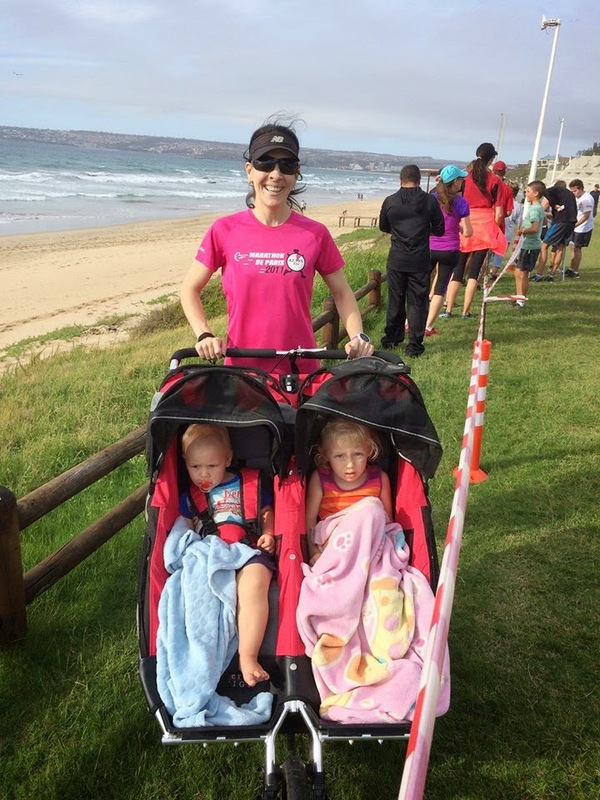 The Hartenbos parkrun route is a very interesting one: First of all, it has a magnificent ocean view, and secondly I don't think anyone could ever be bored running it - there are little twists and turns galore! I ran with Miss K and J Bear in the double stroller and must say that some spots were a bit of a tight squeeze for us, plus the start was also quite congested, but all in all we had a lovely run. What could be better than a seaside run with 311 fellow runnerds on a perfect, sunny day, right? We finished in 32:18 - 71st out of 311 parkrunners. What a perfect way to end our holiday at the beach - we had such a lovely time. But for now, it's time for us to head back home - next stop: Kimberley! So cool! I'll be in Cape Town next week and I'll definitely try to take a trip to Hartenbos on Saturday! I'm trying to do as many different ParkRuns as possible but I'm not in the position to go completely bos, so I've done four different ones so far: Big Bay, Nahoon Point, Hobie Beach and George. Loved reading your post! Why, oh why do holidays always have to FLY by?? Safely back home and at work, thanks Lisa. The change of pace and scenery did us good! I need to finish quickly, otherwise Baby J gets restless, lol! I haven't done Rietvlei yet, no, but would love to someday soon! Ok cool maybe the trail was easier cos rietvlei is full of sand stone's and bush plus theres over 1200 runners which makes it congested and the worst park are these walkers that insist on starting in the front with the runners. A nice happy sounding post Karien. I really must start getting out of bed early enough on Saturdays to do some of our local parkruns...thanks for the little poke! A vacation is better with a running race. As I wrote, I love the Parkruns because are friendly and usually with great sceneries. Unfortunately this kind of race is "unknown" in Italy. Congrats to the running family. Thanks, Stefano! And I agree 100% - we plan all of our holidays around running and cycling races and events. For sure the best way to holiday!